Posted on Thursday, May 6th, 2010 at 10:00 am. 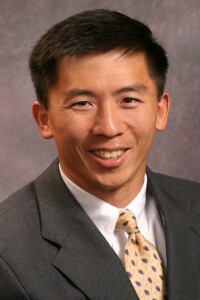 On Thursday, May 6, 2010 at 10 AM, the Senate Judiciary Committee will hold hearings and a vote to consider the nomination of UC Berkeley law professor Goodwin Liu to the Ninth Circuit Court of Appeals. This may be a historic occasion for the Taiwanese American community. If confirmed, he would be the only Asian American out of 175 active judges on the appeals courts. It’s anticipated, however, that there will be significant opposition by Republicans on this Obama nominee. It is very well possible that the vote will be blocked anytime between now and 10 AM on May 6 by Senator(s) that oppose Goodwin Liu’s confirmation. If you want to make a quick phone call to Senators on the Judiciary Committee to make your voice heard, find below a brief scenario for you on how to call the Senators’ offices anytime on Wednesday, May 5, 2010 between 9AM and 6PM EST. *NOTE that TaiwaneseAmerican.org does not officially take a stance in favor or against support of Goodwin Liu, but we recognize that many Americans of Taiwanese descent are interested in voicing their personal opinions. (NOTE that you can call ALL of these offices. You do not necessarily have to be living in the state of one of these senators yourself. STEP 1. Dial the number of the Senator’s DC office. STEP 2. When the telephone is picked up, do not ask to speak to one of the Senator’s aides, but express your concern directly to the person who picks up the phone along the following lines. I am a Taiwanese American and I am calling you today to urge the Senator to support the confirmation of Goodwin Liu during tomorrow morning’s mark-up hearing in the Judiciary Committee. Goodwin Liu is a brilliant scholar and I consider his views within the mainstream. Thank you very much!